ON THE 10TH DAY OF BLOGMAS, BLUSH & NOISE GAVE TO ME, HER 2016 BLOGGING GOALS..
I’ve seen a lot of these types of posts floating around the blogging community, and I thought it would be a good time to set myself some actual written goals, rather than having them stored in my complete scatter brain that forgets absolutely everything, I though this would almost be like my New Years Resolutions, however on behalf of my blog. This year has been a very big and exciting year for my blog, my blog name has changed and the whole concept and ‘theme’ of my blog has been completely redesigned and changed. I spoke about all of this in my Blogging Tips post which you can read –here– however the drastic changes to my blog have been some of the best decisions I’ve ever made. I’ve been blogging since 2013, however it had always been a small side thing that I didn’t spend too much time doing. However in the last year I have absolutely loved every second of blogging and it’s brought so many amazing opportunities and experiences to my door! Even though I’ve been blogging for over 2 years, it was only this year that I started doing a lot more styling posts, were I would style outfits and go out and take photo’s of them. Fashion blog posts definitely take a lot more effort that taking pictures of lipsticks in your room. They’re a lot more difficult to get right also. However I love reading Fashion blogs and I actually love styling outfits a lot more than I do with doing mini makeup tutorials. I just feel as though there’s so many other bloggers that are way better at makeup than me, which brings me onto my next goal..
Something that really annoys me about myself, is the fact that I constantly stick to what I know when it comes to make-up. I constantly wear ‘safe’ colours and don’t really experiment too much. After a recent trip to Mac with my friend Erin, who is amazing at make-up, it showed me that I should really experiment with some alternative colours to what I’d usually opt for. I’ve always wanted to get into purple eyeshadows and rock that really soft grunge, yet pulled together makeup look. So I went home and purchased some purple eyeshadows from Mac! I’m determined to get better at makeup and create some really interesting looks to share on my blog! Although I did photography for my A-levels a few years back, and learnt a lot about cameras and photography then, I don’t think you can ever know enough when it comes to photography. The cameras that I used in Sixth form were Cannon 500D’s, which are really older models compared to todays cameras. I currently own a Cannon 700D, which I have learnt so much about in the time that I’ve had it, however I would love to build up a collection of lenses so that my photography can get better and more experimental. I think the lens that you get with the 700D is a pretty decent lens, however it’s definitely not that best quality lens out there. University has taught me a lot about video making, however I think film making and photography are notoriously different, yes they’re really similar too, however in film making you can cut things and edit them into something amazing, however with photography, especially at home, you’ve not got a load of fancy lighting set ups and editors to edit dodgy footage, you literally have yourself and a camera and usually natural lighting. 4) Having a blog logo that I love! I’ve always wanted a really cool and fitting blog logo to go with my blog. I’m happy with my current blog logo, however I know it can be better, and setting goals are all about improving things that could be better, right? I have a friend who is a graphic designer, so I am hoping to work with him and create an amazing logo for Blush & Noise that I love and that I’m proud of! I think how you blog looks aesthetically, makes such a difference to how you think and feel about your blog. I found when I redesigned my blog, I automatically felt the urge to blog, so I’m hoping with a few aesthetic improvements I will be blogging just as much as I have been during my 12 Days of Blogmas! I really love reading lifestyle posts, as well as travel posts. The majority of my lifestyle and little chit chat posts, are usually some of my most viewed and interacted with posts, and they’re so fun to do! Especially when I get to help people, for example when I posted my post about anxiety, the feedback I got from anxiety sufferers was incredible. I got so many emails and direct messages from people that where strangers and from people I knew very vaguely, saying that the post had helped them and sharing their stories and experiences with me. Traveling is also something I love to do, however it’s always having the funds to do it, although I don’t really have any trips planned for 2016, there’s still time to make them, as I love learning about places to eat and visit in a bunch of different places! 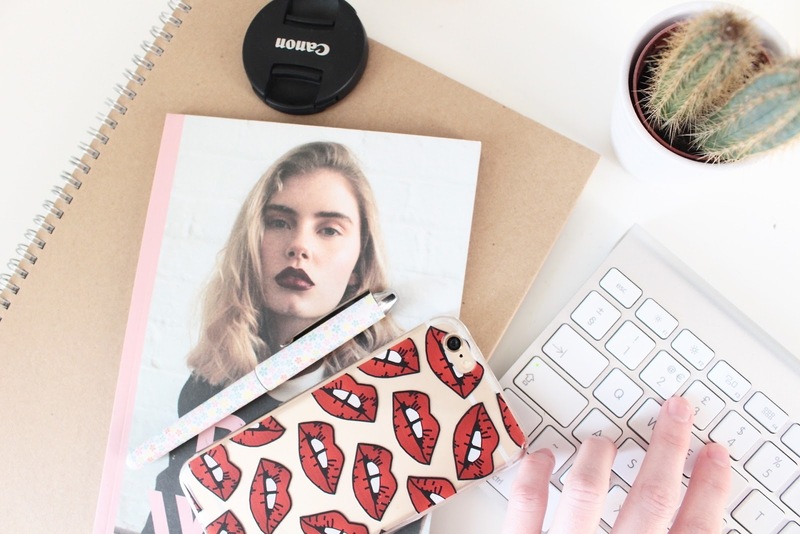 What are your 2016 blogging goals? See you all on Monday for day 11 of 12 days of blogmas!